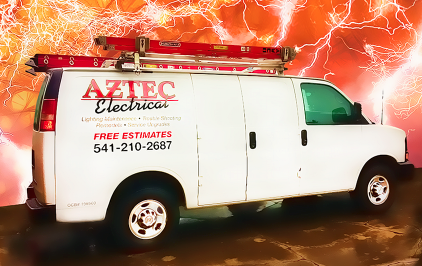 If you need an electrical repair, contact Aztec Electrical. Our licensed electricians are thoroughly trained and certified to work on every type of home electrical system. When your light fixture goes on the fritz or a light switch stops working, you want to call someone you can trust. Our knowledgeable electricians will make the repair quickly and are available for emergency service 24/7 throughout Medford, Ashland, Jacksonville, Grants Pass and the surrounding areas in Jackson County, Oregon. Aztec Electrical is licensed and bonded to service all of Oregon. We do installs and repairs with all types of electrical services, including low voltage systems, power distribution systems, lighting services, monitoring systems, and electrical maintenance services. Cal Aztec Electrical today: 245-8560. We provide free estimates on your electrical work. 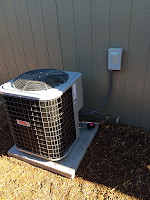 Ask us how we can help you save money on your power bills, or receive rebates, thought the Energy Trust of Oregon.